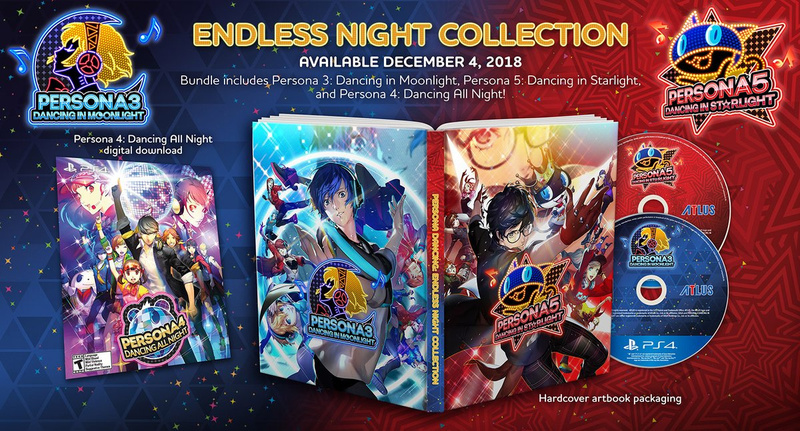 Persona 5: Dancing in Starlight and Persona 3: Dancing in Moonlight now have an official release date, and Atlus has announced that there'll be a bundle that includes both games plus a digital version of Persona 4: Dancing All Night on PlayStation 4. The two new titles are also coming to Vita here in the West, but they'll only be available digitally. You can see the release date trailer for Dancing in Starlight above, and Dancing in Moonlight below. Both games launch on the 4th December in Europe and North America. Will you be picking either title up later this year? Get your groove on in the comments section below. No joke, I have had the Persona 4 DAN soundtrack on loop for the last week in my car. What do you think😂😂😂? Can’t wait. Double dipping for Vita & PS4. Hope there’s cross-save. The instant this goes up for pre-order I'm on this! I was very late to the party for P4DAN. If there's an EU physical Vita release I'd go for that. I'll wait on these. I'll probably end up nabbing the PS4 versions, when I get to them. Rhythm games are the one genre where I don't really care for portability. REALLY nice looking set, though. Ill be buying this but i wish they were doing a release with the soundtrack like they did for P4: DAN. Im salty this isnt getting a physical release on vita (memory card space is very limited) so i will initially buy the physical on PS4, but will inevitably buy the vita versions down the road. I'm definitely getting this set. I loved P4AN, and can't wait for these! Demo please. Not buying 3 versions of a game I may not like. Glad they're doing a collection of the two. That artbook packaging looks nice! That's a nice package, but yeah, kinda salty it doesn't have a soundtrack included. Probably still get it though. @sinalefa yeah. 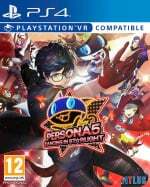 I LOVED Persona 5 and I’d love to spend more time with the characters but I’m not really sure if I’d like this game. I am hopeful since Sega usually releases demos as in the Miku games. Will these have an option for the Japanese voices? Ohhhh! Hype! That P5 trailer was the smoothed thing I’ve seen in my life! I wasn’t expecting it to be $60, but I don’t care, I’m pre-ordering this today! My days been made. If the collection gave me the Vita versions too, I’d get it. But I don’t know I want the collection as cool as it looks when I haven’t played P3 or P4 yet, and that’s a lot of rhythm games. We need a P3 PS4 Remaster. And that VR! My need to get PSVR is growing. @sinalefa definitely with you on the demo. I love Persona 5 and the 4 Arena games. But I’m not too sure about this one. December huh? I thought it was February. Neato. @Tops Yeah the official press release mentions it. I dunno why PS doesn't include them. Sure was nice of Atlus to release these on my birthday. I must be their favorite customer. @ztpayne7 It’s more Persona 5, that’s all you need to know. @shonenjump86 It depends on how much you like rhythm games, there are some unlockable social link-esque events, but it's the music that's the meat and potatoes of the game, with no actual story mode unlike P4D. I've played both on the Vita and they are quite good, but again, it very much hinges on whether or not you'll like rhythm games. @Ralizah curious as to why you prefer console to portable for rhythm games? I've always found with my headphones in I can get in the zone far easier on portable. @Orpheus79V yeah I hear ya. I did play Pa Rapper the Rapper back in the day and I did enjoy those Rhythm Heaven games on DS, but games like Dance Dance Revolution were never my thing. Rhythm games are just so so to me but I am willing to give em a shot if they catch my attention. 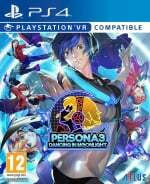 Just bought P4D since it was on sale at 8 €. Definitely going to pick these on Vita. @Wraggadam Well, I use headphones when playing on PS4 as well. Anyway, it comes down to the fact that rhythm games demand one's unflinching attention when playing them, and this doesn't play to the strengths of games on portable hardware. In pretty much any other type of game (except online games, I guess), I can shift my attention to things happening in the world around me momentarily without it being disastrous for the game I'm playing. But rhythm games demand constant, unceasing attention be paid to them, so it doesn't really make sense to play them anywhere else but at home and in an isolated environment to begin with. And if I'm going to have that restriction anyway I might as well play it on a large screen. On the other hand, each of these games will be at least $20 cheaper on Vita, which is another factor to consider. I wasn't going to, but Yakuza does a cool karaoke mini game, and so I'm interested. I've never played the series before, but definitely interested. Ok, now how about a bundle of all three of the actual Persona 3-5 rpgs on PS4. @Fight_Teza_Fight The soundtrack is pretty amazing if you ask me. @Orpheus79V Thanks. Just double-checking to be sure. I couldn't imagine playing this in anything other than the Japanese voice tracks. @Ralizah reason you play play on console is the same reason I play portable. Sitting away from the screen and not being close enough to have the controller wired, in game mode, and with the headphones in, it always feels like I have to slightly adjust to the rhythm to account for delay. In portable mode, I've got the screen right there, the headphones in, and no possibilty for delay. I found this with ahtsune Miku on ps3, tried the PS3 demo, and the vita demo, and there was no comparison. Even after completing on vita, I thought I would give ps3 version a go and I kept just scraping by. I would hope vita versions would be cheaper, but at the same time I'm a bit if a persona collector, so really want the set. @Wraggadam There's no discernible input delay on my TV. If that was a problem, I'd probably also prefer playing rhythm games on handhelds. Hopefully Sony tries the hybrid approach at some point and everyone can play their games the way they're most comfortable in the current moment. @Ralizah I hope so, the reason switch has became my system of choice for multiple platform. The only games I tend to prefer on the big screen are the more cinematic experiences. I would kill for handheld Persona 5, though remote play definitely helps. @Wraggadam Same! It's just so nice not being limited to one mode of play, and it makes the division of games into home console and handheld versions feel utterly archaic in comparison. I've tried remote play. I can get it to work OK sometimes, but it's just not a great solution for portable play for most people, me included. No story mode and an RRP of £60, no thanks. I'll just watch some videos of the dances on YouTube. @Matroska In that case everything is already there for you to enjoy.